On a special podcast, BuffStampede.com Publisher Adam Munsterteiger and Beat Writer Jake Shapiro recap CU's 2018-19 men's basketball campaign and look ahead to a promising 2019-20 season. On a new podcast, BuffStampede.com Publisher Adam Munsterteiger and Fan Correspondent Tyler Ziskin compete to draft the best team, including only Colorado players from the Mike MacIntyre era. With spring practices just around the corner, Publisher Adam Munsterteiger and Fan Correspondent Tyler Ziskin discuss the latest happenings with Colorado football. 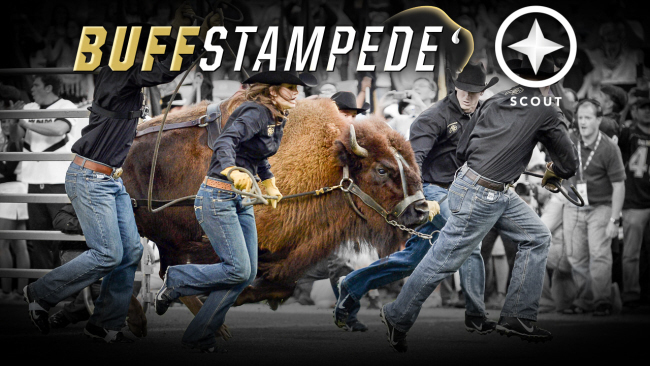 With the regular signing period just days away, BuffStampede.com Publisher Adam Munsterteiger and Fan Correspondent Tyler Ziskin discuss the latest happenings with Colorado football. On a special edition of BuffStampede Radio, Publisher Adam Munsterteiger is joined by William Gardner to break down Colorado's offensive and defensive lines going in 2019. On a new podcast, BuffStampede.com Publisher Adam Munsterteiger and Fan Correspondent Tyler Ziskin recap 2018 and look ahead to 2019. New Colorado head coach Mel Tucker talked about their early signing period additions during his press conference in the Champions Center on Thursday. New Colorado offensive coordinator Jay Johnson, defensive coordinator Tyson Summers, offensive line coach Chris Kapilovic and defensive line coach Jimmy Brumbaugh met with the media for the first time on Thursday in the Champions Center. Mel Tucker has been on the job for nearly a week now. BuffStampede.com Publisher Adam Munsterteiger and Fan Correspondent Tyler Ziskin share their impressions of Colorado's new head football coach on a new podcast. BuffStampede.com Publisher Adam Munsterteiger and Fan Correspondent Tyler Ziskin put a wrap on the Mike MacIntyre era and discuss some of CU's potential coaching candidates.